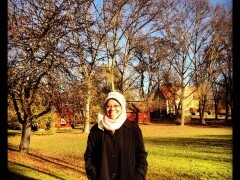 Kulliyyah of Engineering would like to congratulate Dr. Anis Nurashikin Nordin for her recent promotion to Professor. It is hoped that the promotion would further inspire all of us to make greater effort and initiative towards realising the objectives of the Kulliyyah and the University. Congratulations on a much merited promotion!